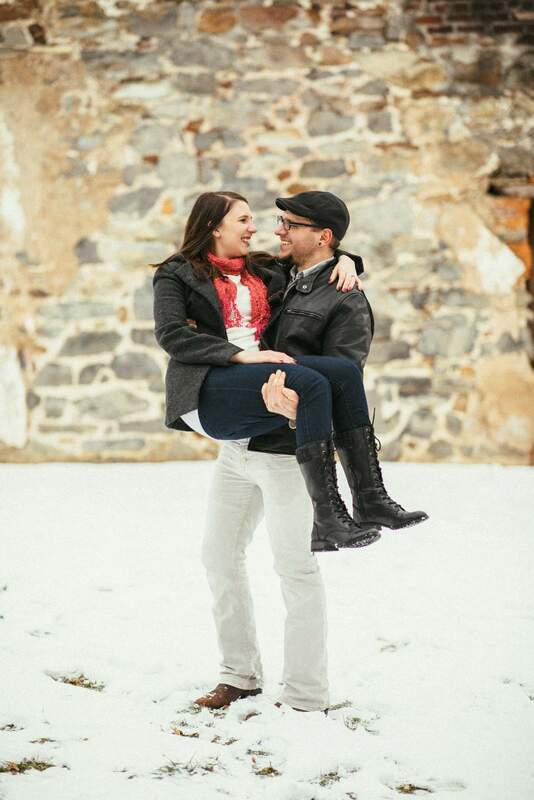 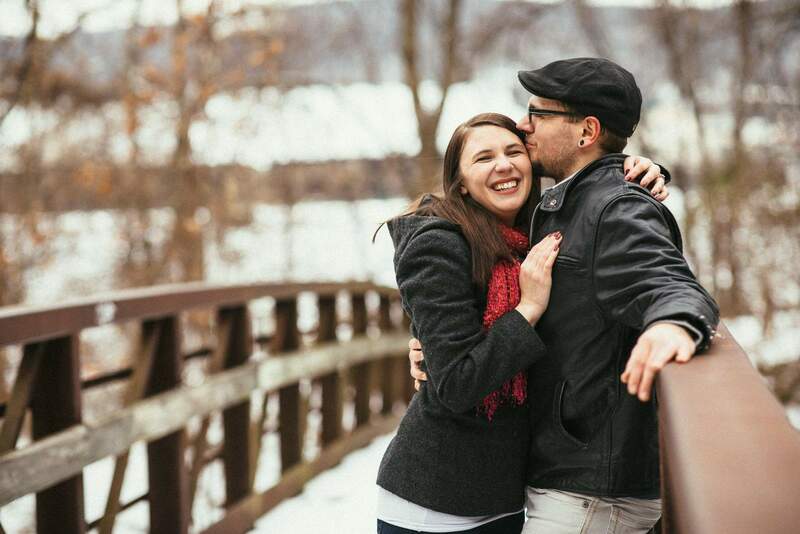 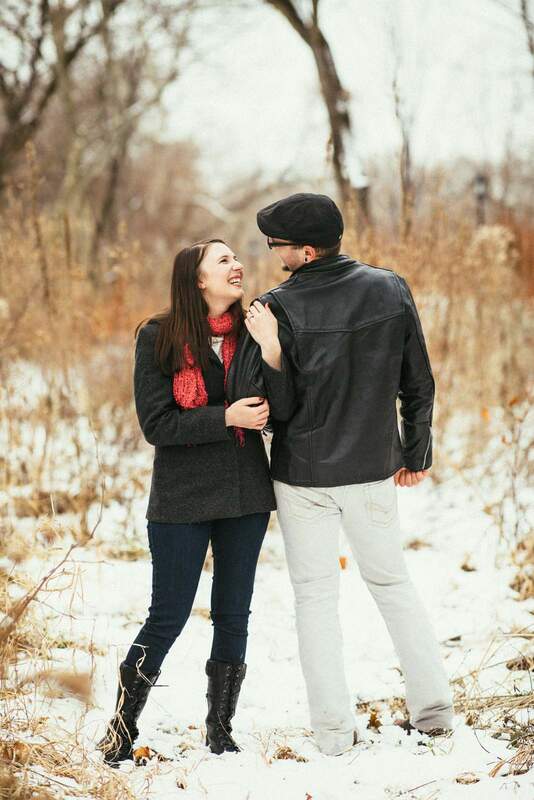 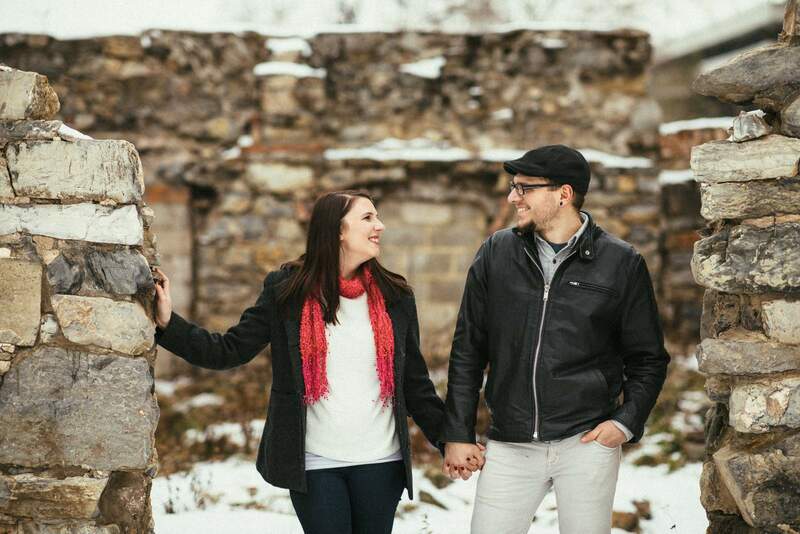 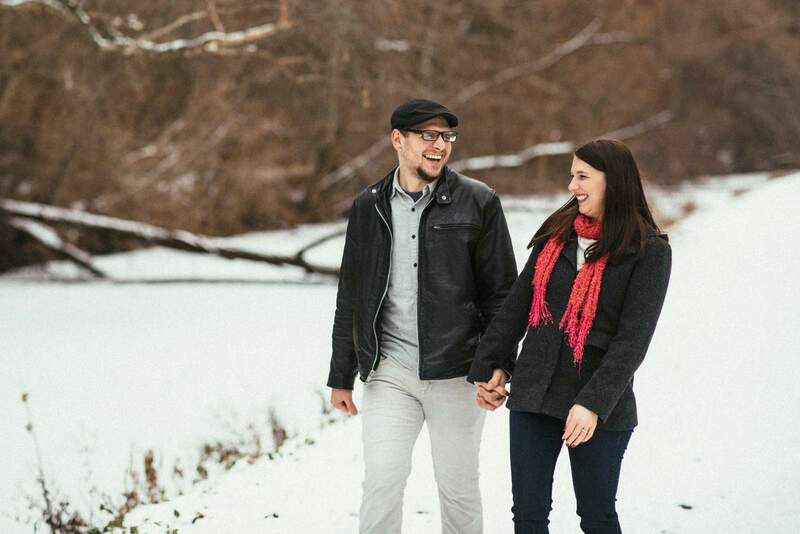 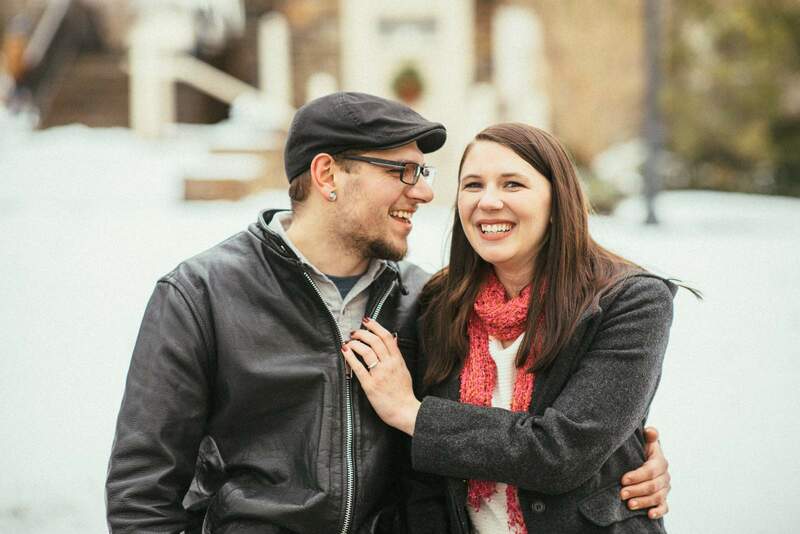 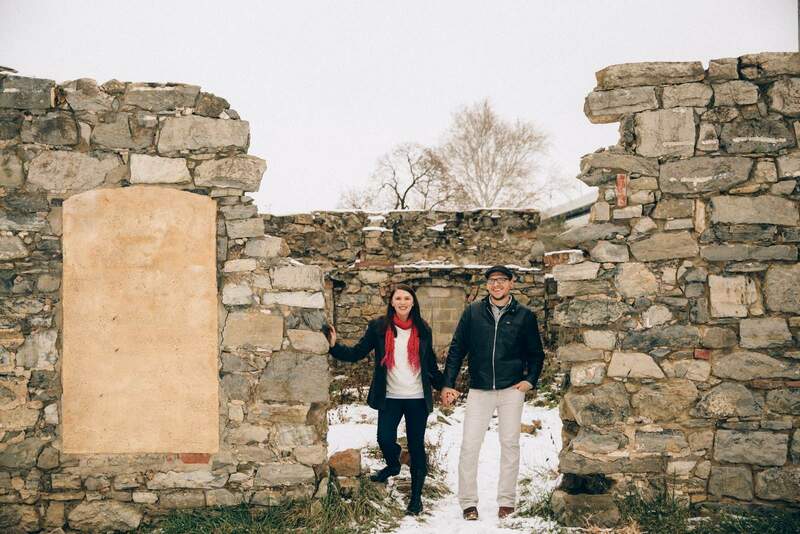 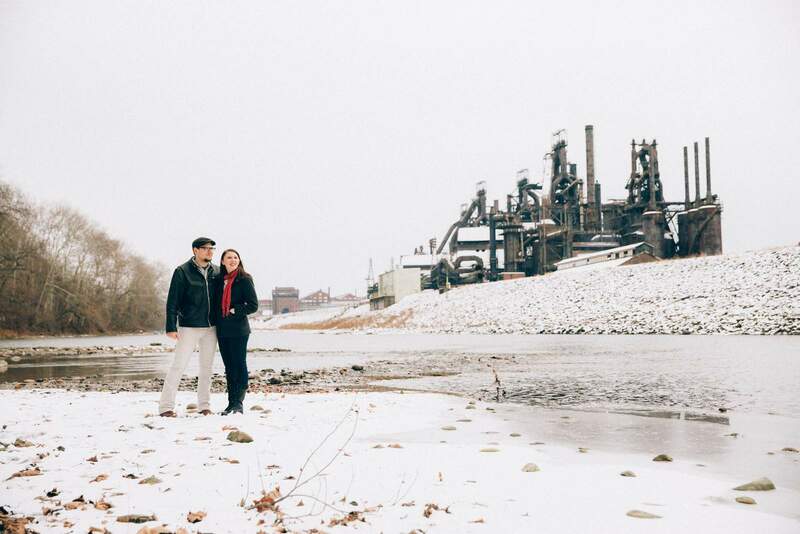 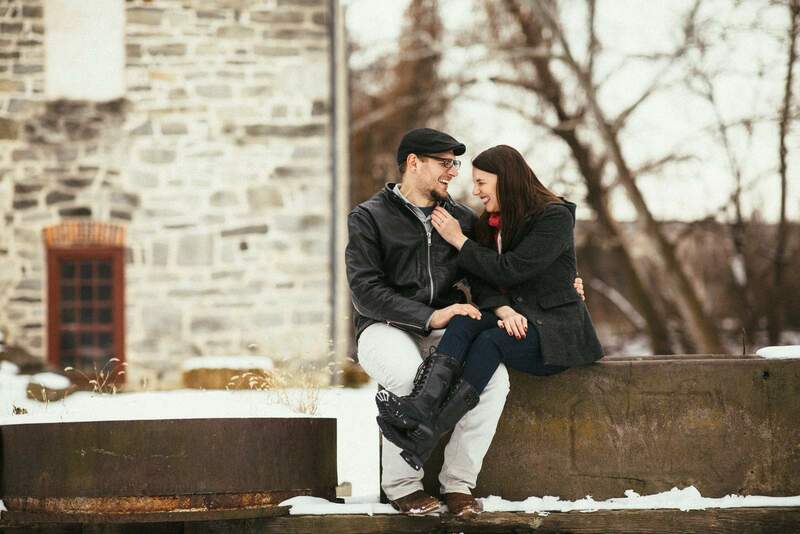 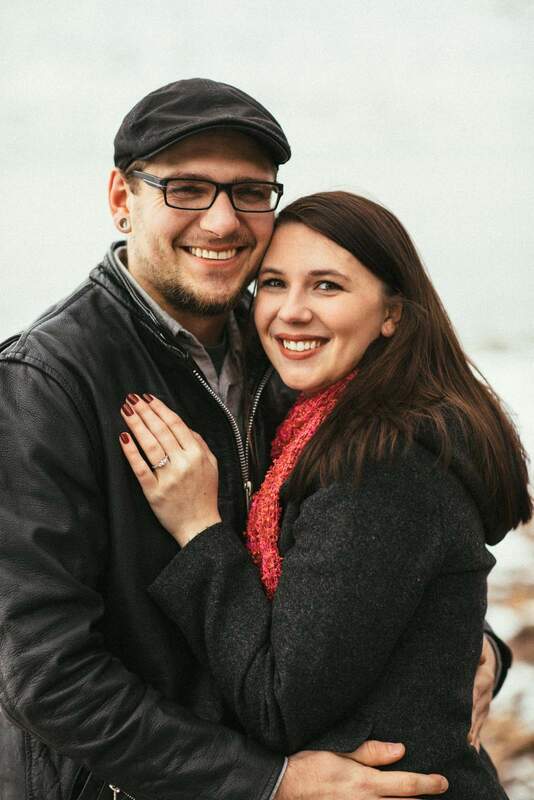 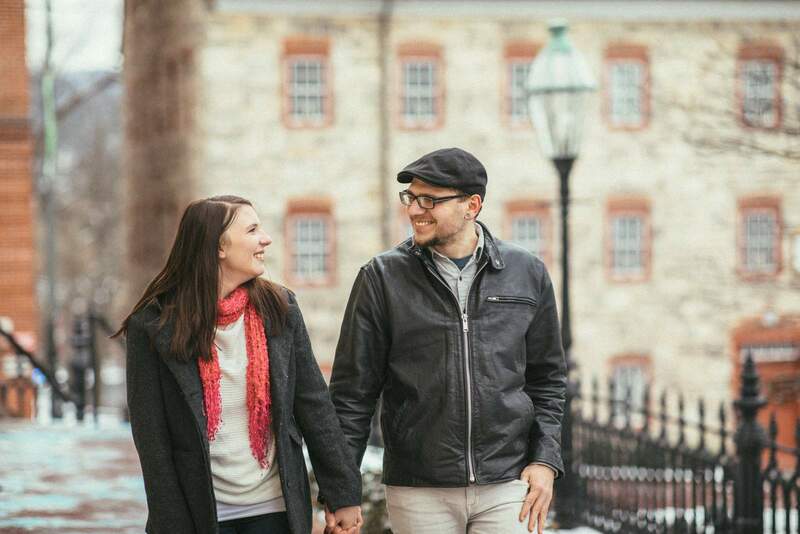 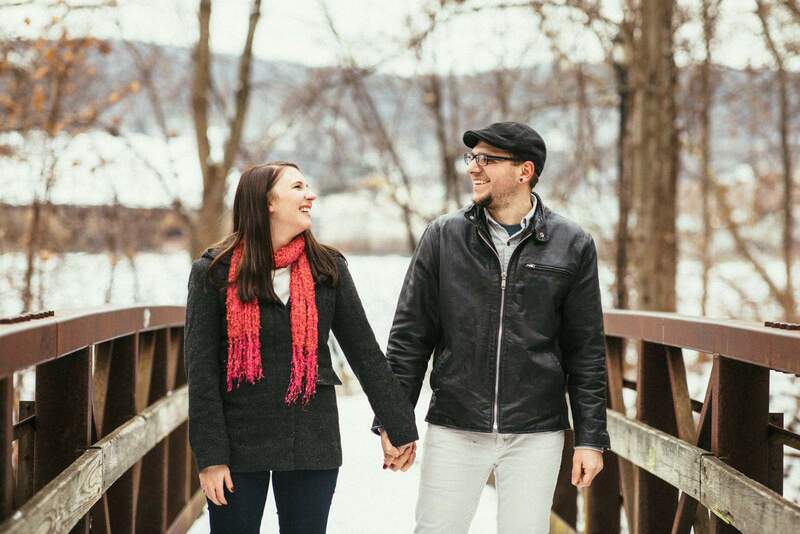 We had a fantastic time exploring Historic Bethlehem Pennsylvania while photographing this engagement session on a snowy winter day alongside the Lehigh River! 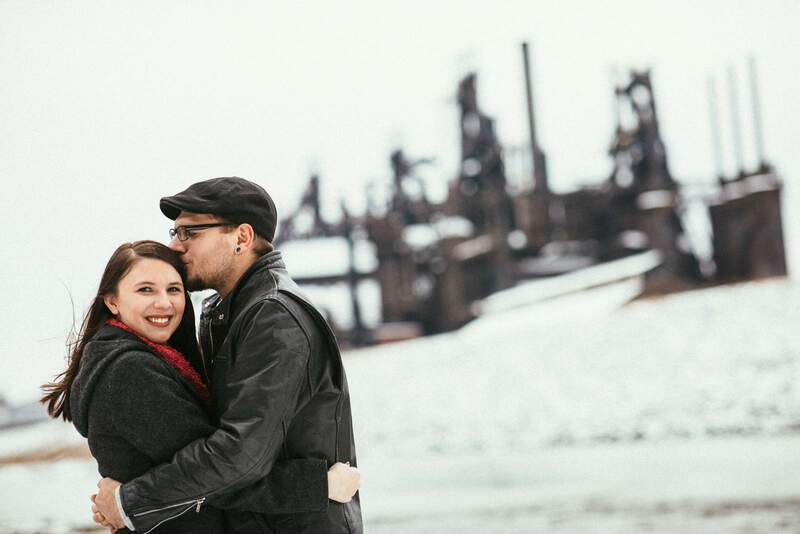 We began on the snowy banks of the river almost directly across from the unique and industrial Steel Stacks while exploring the various snowy fields and paths still full of beautiful orange foliage. 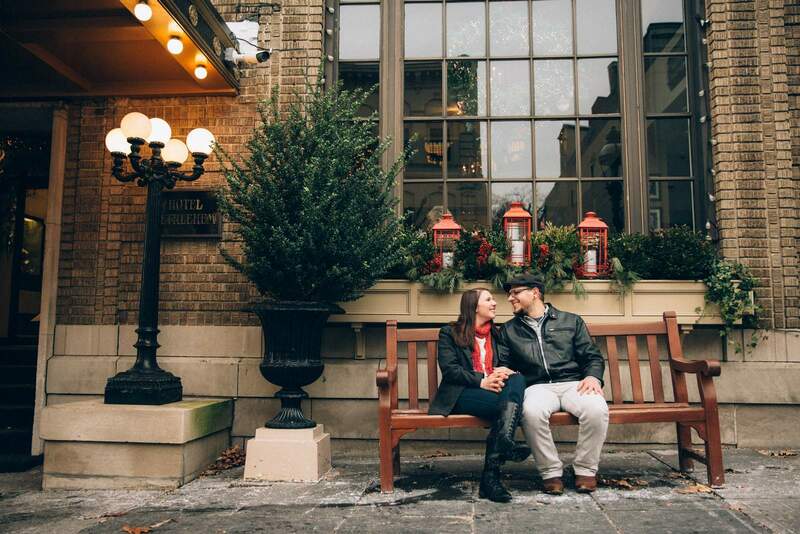 Then, for a more historic vibe, we took short trip up the road to the preserved colonial village located right next to Main Street and the Hotel Bethlehem where the Christmas market was in full swing. 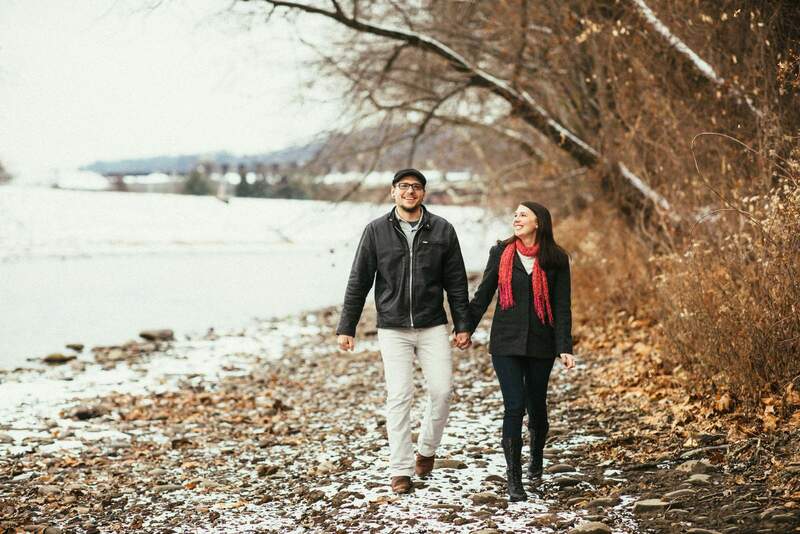 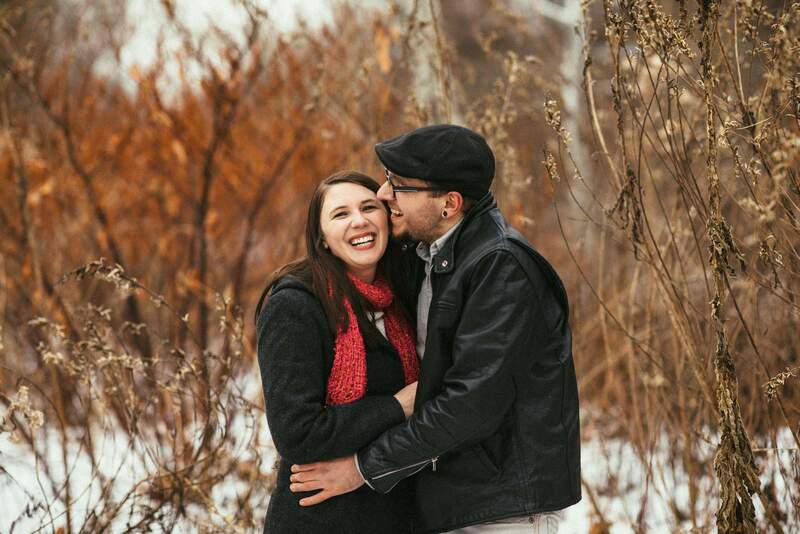 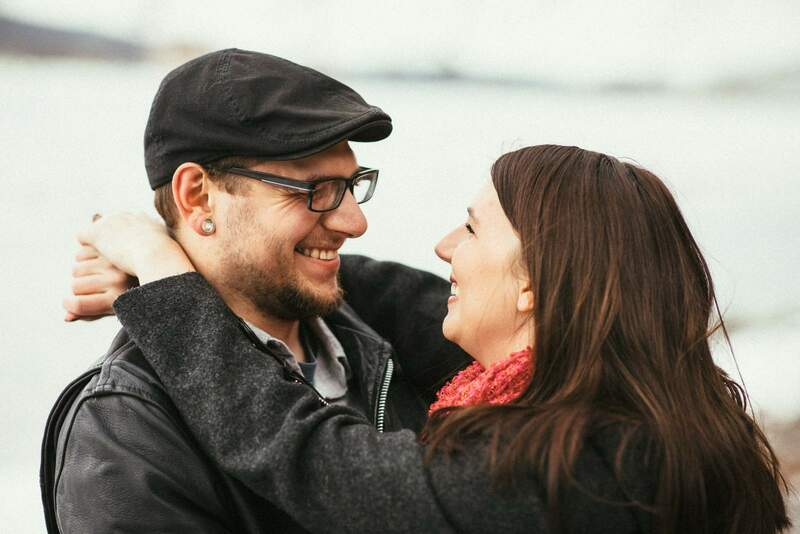 Haley and Dan had an amazing connection and we captured so many amazing and natural moments full of laughs, joy, and love between the couple We can’t wait to photograph their wedding this coming year near the Poconos in PA!